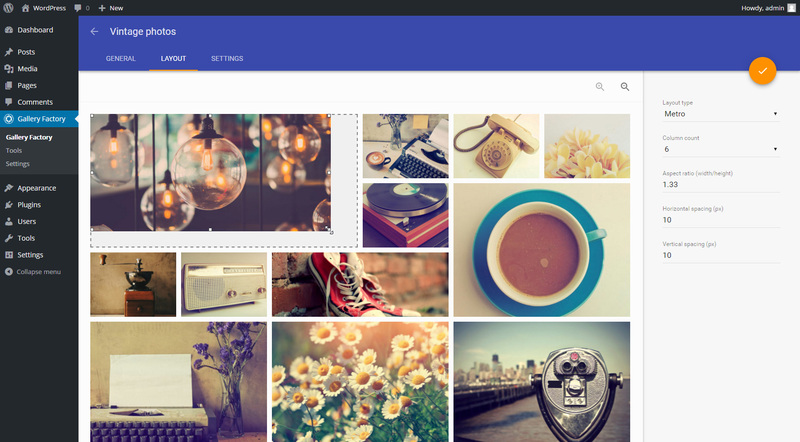 It’s the WordPress gallery plugin made with large image galleries in mind. Users with hundreds and thousands of images will find it most useful, yet anyone who wants to take his WordPress website to the next level with professional good looking galleries will enjoy Gallery Factory. Designed to act as a full-featured web application inside your WP and styled with the Material Design, the new admin interface brings the cutting-edge technologies to the world of WP plugins. 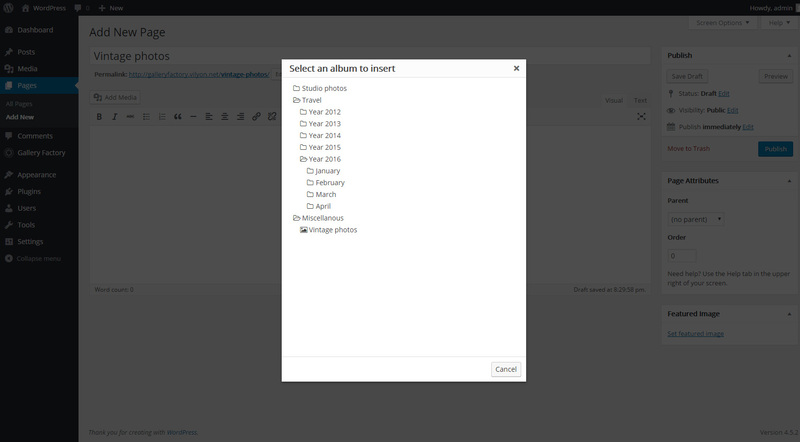 Gallery Factory keeps images separate from the WP Media, allows you to group images in albums and folders and provides a smart way to navigate the library. 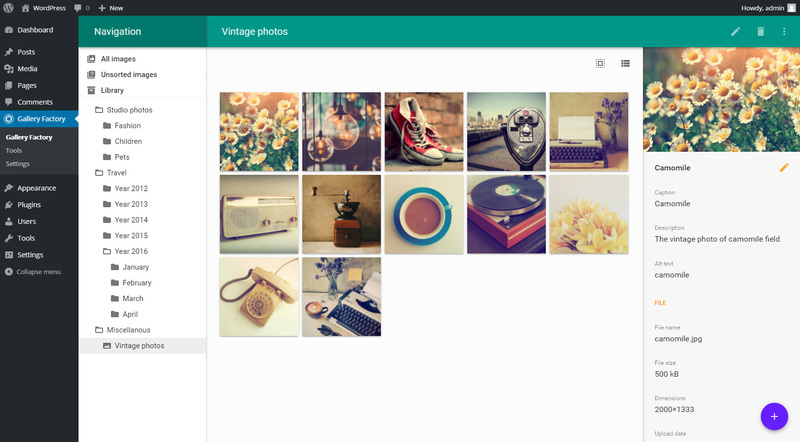 Your image collection is organized and easy to handle no matter how large it is. 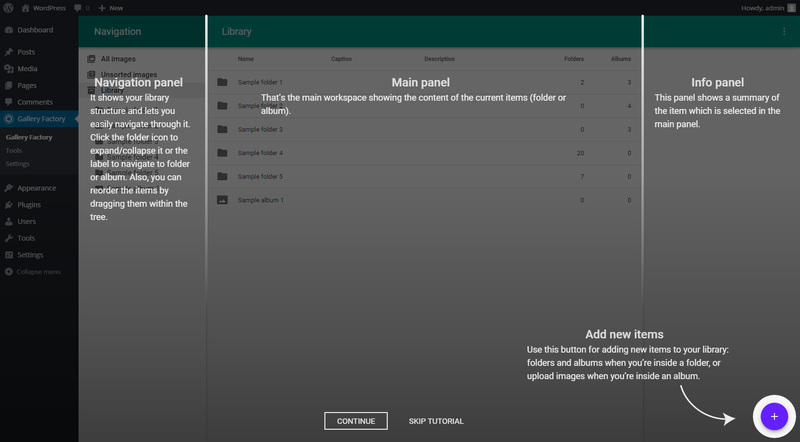 Creating unique gallery layouts with Gallery Factory is a breeze, thanks to its advanced layout editor. What you see is what you get, and you have the total control over the layout. Optimized for displaying galleries with hundreds of images, GF features image lazy loading, four pagination types and gallery caching. Responsive layouts for mobile displays go without saying. 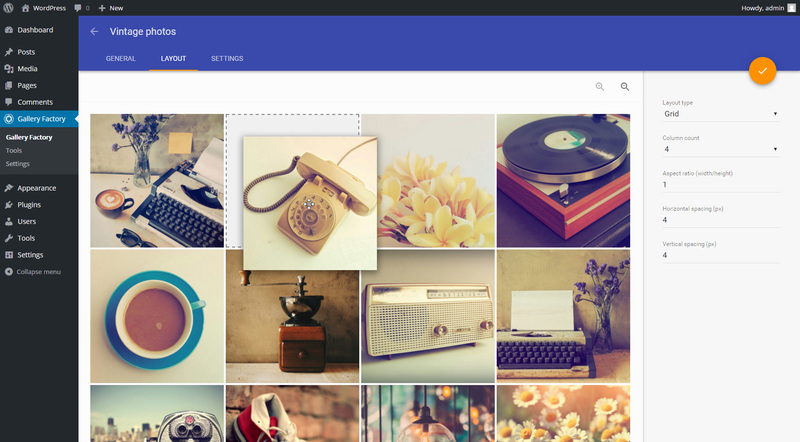 Gallery Factory WordPress plugin is the new way to organize your image collection in WordPress. 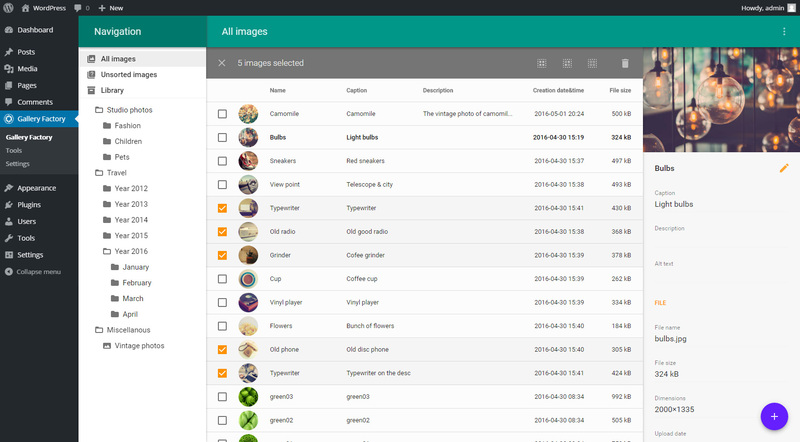 This plugin features the unique admin interface called Gallery Manager, which combines all you need to work with your image collection in one single place. It is easy to handle even for beginners, yet powerful enough for demanding users. 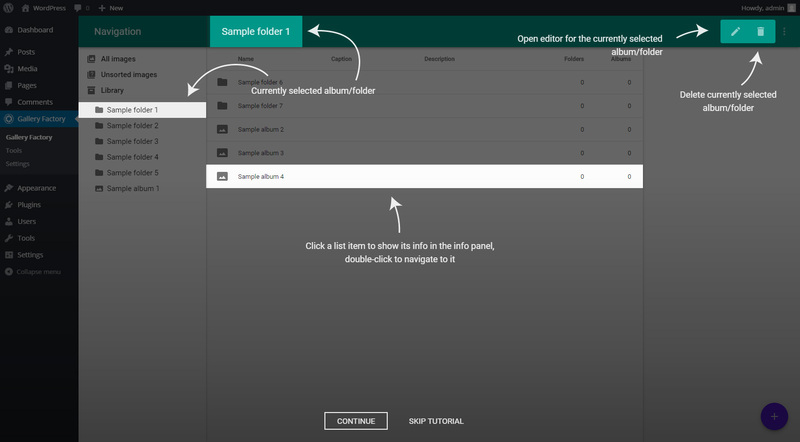 Every piece of the plugin is built to be interactive and self-explaining – from organizing your albums in the multi-level folder structure to creating unique layouts in the WYSIWYG layout editor. 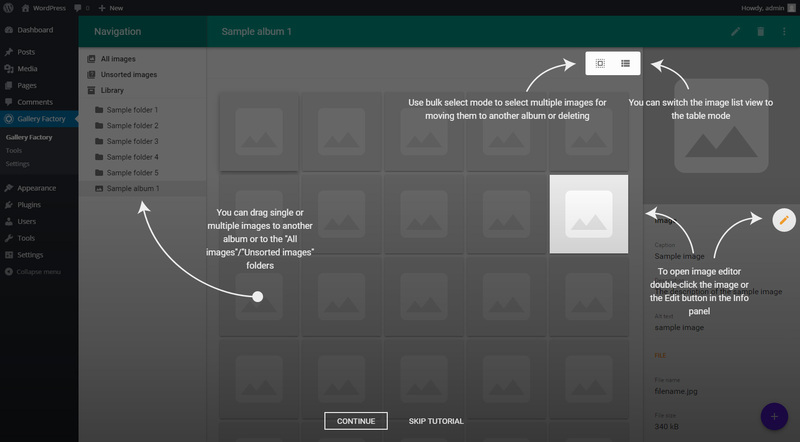 Images are organized into folders and albums only on the logic level (not touching real folder structure on the disk), so any single image can be added to multiple albums while actually storing only one instance. 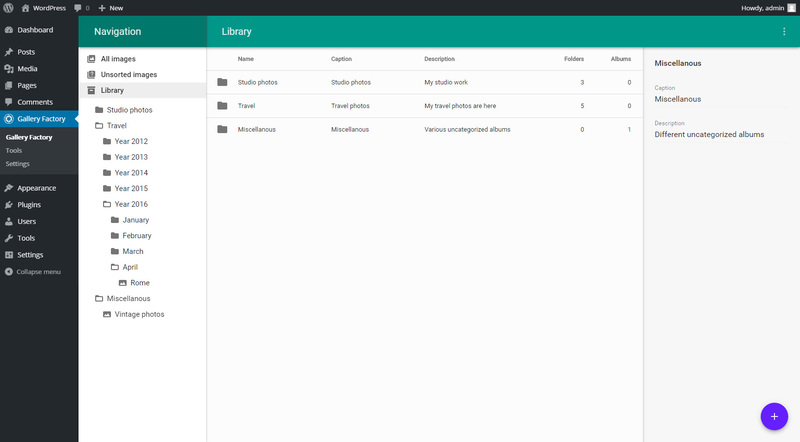 But Gallery Factory is not only about uploading and organizing your images: it features the unique visual layout editor to help you create incredible galleries. Namely, the Metro layout type allows fine-tuning of the size and placement of each thumbnail in a gallery, providing you the great tool for showcasing your images; and Masonry layout enables you to display all images in an album retaining their original aspect ratio. Three lightboxes are included (ImageLightbox, Lightbox2, Colorbox) and ready to use, moreover, additional integration with several premium lightboxes is also available. Improvement: Updated breadcrumb output for the [vls_gf_viewer] shortcode (breadcrumb labels default to a folder/album name if caption is not set). Feature: Added lazy loading of thumbnails.